Despite being born and brought up in Berlin, civil named Nils Thabo Gelfort came in touch with electronic music pretty late. Mainly listening and playing Hip Hop and Reggae, he got bored by the annoying clichés and stereotypes related to this kind of music. 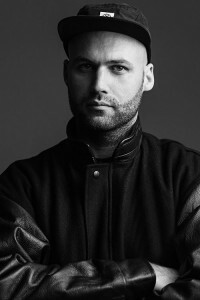 In 2001 he got introduced to new playgrounds within the Techno Scene, staying a consumer at first. By 2007 he started promoting his first events, having today regulars under the label “Remain Raw” at clubs like Weekend, Cookies or Tape Club. Due to the constant interaction with DJs and producers from around the globe he finally took his first steps in producing and will be releasing in 2013 on labels such as Clap Your Hands and Van Liebling. His sets follow a suspense curve, driven by pulsating basslines, rhythmic percussions and a little dashes of the Hip Hop he felt in love with in the 90s.